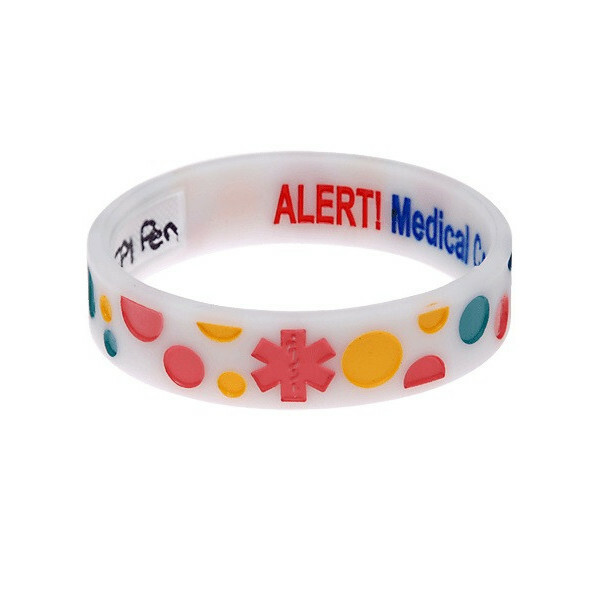 This cute medical alert bracelet for kids makes sure that caregivers and medical personnel know about your child’s allergy/medical condition in case of emergency. Available in size small (5.9” or 150mm) only. These write on wristbands for kids are perfect for alerting others to your child’s allergy or medical condition. The cute design makes it perfect for kids. One side has colourful bubbles to make it attractive to kids. 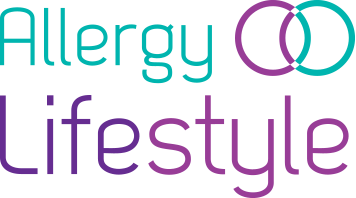 The other side has a space for you to write information such as your child’s name, allergy/medical condition and emergency contact information. 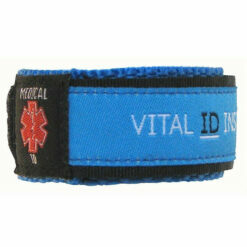 Your information can be discreet with this reversible wristband. 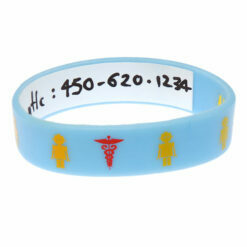 On the outside of the wristband it also has the medical symbol. The paramedics are trained to look out for the medical symbol. 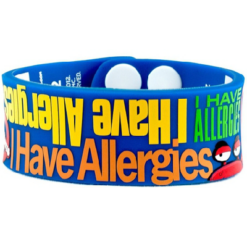 Once they see this on the wristband they will know that the child in question has information about their medical conditions/ allergies on them and they will look for it . They will then be able to treat your child with the appropriate treatment fast. Only available in size small (5.9” 150mm). This should suit small kids. Use a permanent marker pen to write your information onto the white write on strip. Submerge in boiled water for 30 seconds to set the writing. 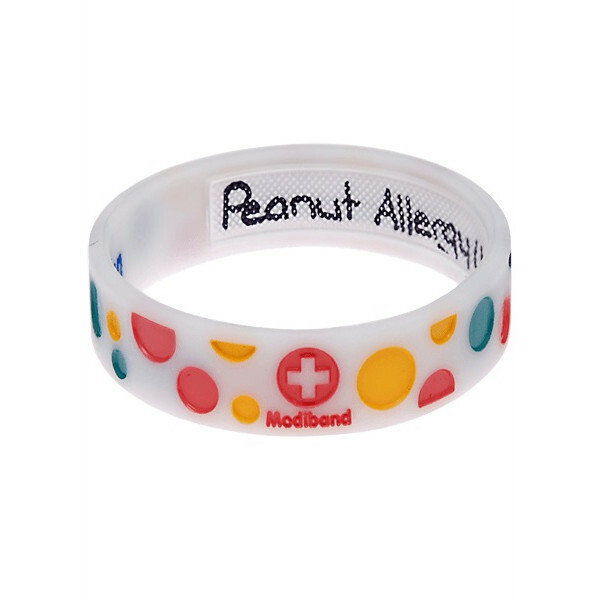 Please note that further writing on the band after it has been set will not work.